It was like any other day in Boothbay, Southport and Bristol, Maine — until the water rose 12 feet and receded three times in 15 minutes, ripping up docks and pulling boats away from their moorings. The customers were anxious about the occurrence, but her staff managed to calm everyone down, says Smith. The last rogue wave that appeared in Maine was in 1926 at Bass Harbor, according to a report in The Boston Globe. There were no injuries reported in this latest incident, but 17 years ago a series of 12- to 15-foot waves ravaged the coastline of Daytona Beach, Fla., tossing dozens of cars and injuring 20 people. Meteorologists are baffled by the cause, but not by the occurrence. Theories include a powerful storm squall or the shifting of mountains of sediment from a steep canyon in the ocean. Meteorologists say a squall line surge, which occurs when a fast-moving storm sweeps over the water, can create such a wave. Explosive decompression of underwater methane could also be a factor. Weather stations are gathering information from locals to find out what exactly occurred, asking banks and businesses to see if the event was recorded on their security tapes. 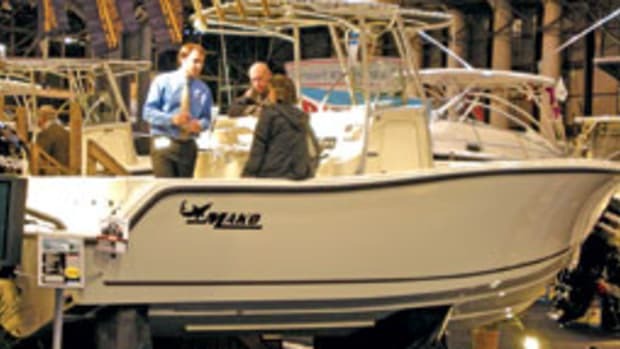 The 40th Hartford Boat & Fishing Show will open Jan. 22 at the Connecticut Convention Center in Hartford, Conn., and run for four days. Tickets for this year’s show are $12 for adults; children under 12 accompanied by an adult are free. Discount coupons are also available from many exhibitors and other sponsors. 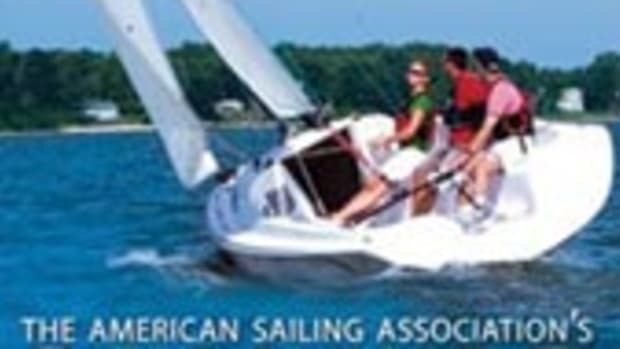 The Hartford Boat & Fishing Show, the largest event at the convention center, offers the largest collection of boats, boating accessories and services in the area, as well as seminars on boating and fishing. The Environmental Protection Agency (EPA) has issued a notice stating that it has determined that adequate facilities for the safe and sanitary removal and treatment of sewage from all vessels are reasonably available for Hempstead Harbor, Nassau County and New York Oyster Bay/Cold Springs Harbor Complex, Nassau and Suffolk Counties, N.Y. The areas are thus designated Vessel Waste No-Discharge Zones. A mayday call prompting a multiagency rescue response by sea and air in October is now believed to be a hoax. The Coast Guard launched a rescue boat and helicopter crew, Nassau County Police Department launched a helicopter and boat, and Suffolk County Police Department launched a rescue boat in the area near Centre Island, N.Y., after receiving a mayday call from a man who said his vessel was taking on water and was sinking. All agencies searched throughout the night. During a subsequent review, Coast Guard personnel determined the call was a probable false mayday. A boater in the area where the mayday was believed to have been made said he saw no vessels in distress. No debris or items have been found. 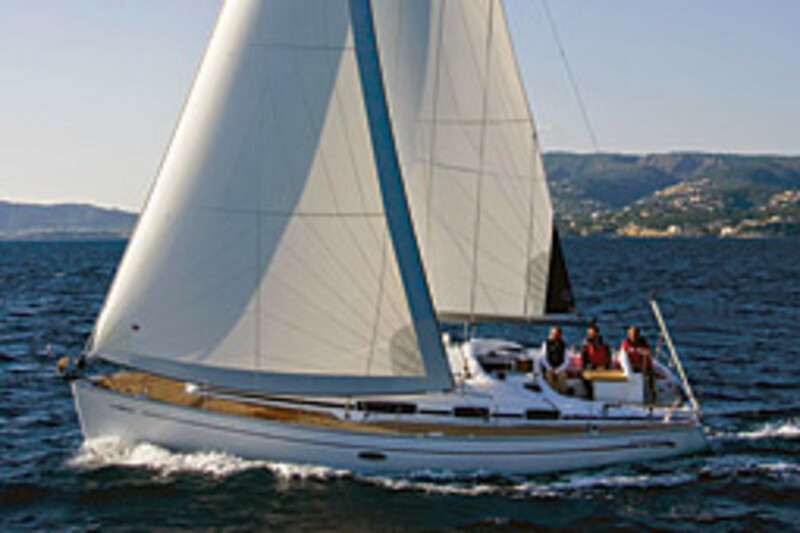 Bavaria Yachts USA named New England-based Eastern Yacht Sales as a new dealer representing Bavaria’s complete line of cruising and performance-cruiser sailboats. Sea Sense, the women’s sailing & powerboating school is offering a seven-day, liveaboard, sailing course in the British Virgin Islands for beginner to intermediate sailors. 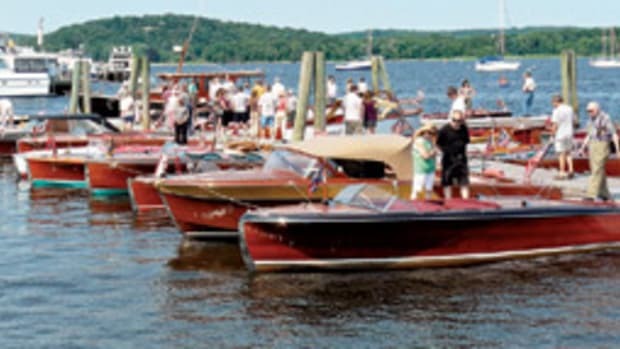 The Connecticut Department of Environmental Protection is extending the deadline for the state’s marinas and boatyards to comply with the environmental regulations of the federal and state Water Pollution Control Act. The act deals with discharges associated with runoff from pressure-washing boat bottoms. The deadline has been extended to Sept. 30. 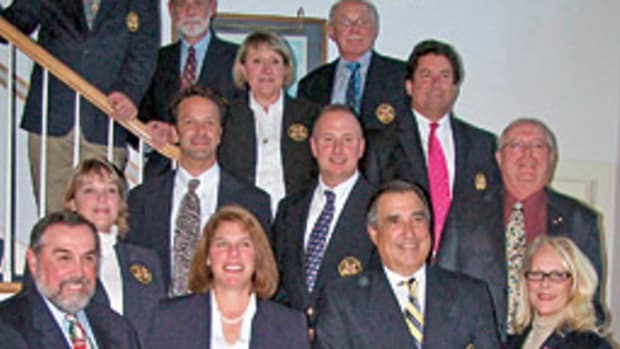 “We do understand the difficulties in moving an industry from longstanding practices to regulatory compliance,” DEP commissioner Gina McCarthy said in a letter to Grant Westerson, executive director of the Connecticut Marine Trades Association. Westerson has asked the DEP to allow his members until December 2009 to comply, so they would have the benefits of a construction season and a pressure-washing season, though he had originally hoped the deadline would be extended further — until May 2010. Westerson says CMTA members will have to spend thousands of dollars for surveys and site plans to get through their towns’ review processes, in addition to the tens of thousands of dollars for pumps, containment systems and other necessary items needed. The DEP says it has been working with CMTA’s membership on this issue since 2006 and has sent correspondence to operators, owners, members and employees of the state’s marinas, boatyards and yacht clubs outlining regulatory requirements that apply to boat-bottom pressure washing. “This is a matter we’ve been talking with the marinas about for quite awhile, and it is something that’s really important to the quality of the waters of the Long Island Sound,” says DEP spokesman Dennis Schain. 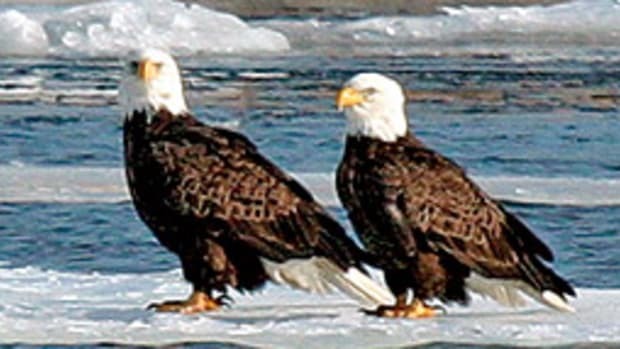 America’s coasts, rivers, bridges, tunnels, ports, ships, military bases, and waterside industries are all potential targets, according to the Coast Guard Auxiliary. Though waterway security has been increased greatly in recent years, with more than 95,000 miles of shoreline across 290,000 square miles of water and about 70 million recreational boaters in the United States, the Coast Guard and other law enforcement agencies can not do the job alone. 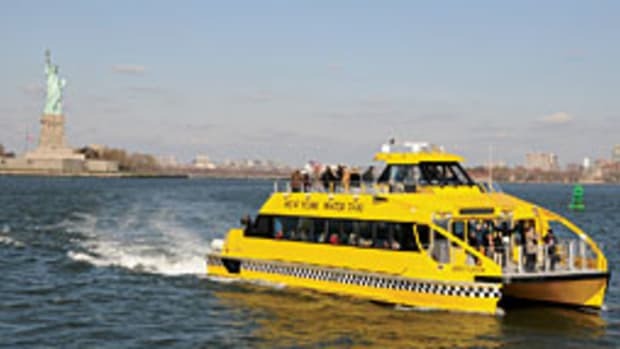 Boaters should be on the lookout for: unusual surveillance of vessel or waterside facility operations; unattended boats near bridges; unusual diving activities; unauthorized vessels operating in restricted areas; or other suspicious activities. The Connecticut DEP says a Pawcatuck fisherman and a South Kingstown, R.I., seafood dealer were arrested and charged with illegally landing and selling striped bass. Sean W. Bradshaw, 44, was charged with the landing/sale of striped bass without a commercial license, commercial fishing without a vessel permit, possession of untagged striped bass, and the commercial sale of scup without a license and during the closed season. John J. Guerrieri, 50, was charged with buying seafood without a Connecticut seafood dealer’s license and operating a motor vehicle without a license. The arrests followed an investigation by the DEP’s Environmental Conservation (ENCon) police unit and the Rhode Island Environmental Police acting on information that Bradshaw was allegedly catching bass and bringing striped bass back to his dock in the Pawcatuck River. He would allegedly ice and store the fish at his home, and Guerrieri would allegedly come to his house to buy them. At the time of the arrest Connecticut and Rhode Island officers seized 42 striped bass weighing 971 pounds and 89 scup totaling 87 pounds. With the fair market value for commercial striped bass at about $3 per pound, the estimated value of this bass was $2,913. All of the fish was donated to the Amos House in Providence, R.I.
Bertram Yacht is offering an extended warranty period on all 2009 and future yachts. 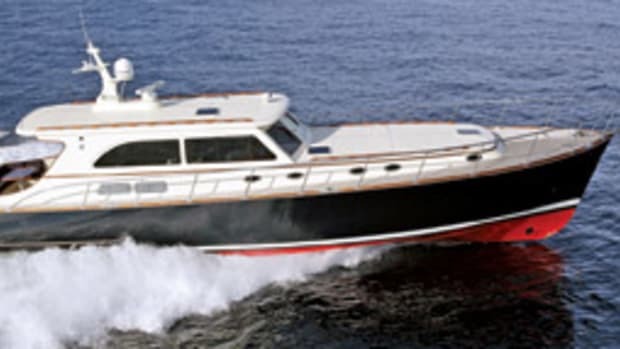 There will be a limited two-year warranty on manufacturer-built construction and a five-year warranty for the yacht’s hull and fiberglass structural components. For details, visit www.bertram.com or call (305) 633-8011.